These days, cars are complicated machines. Even with reliable vehicles like the Camry, there are any number of things that could go wrong with your car. Luckily, the Internet is a great resource for troubleshooting car problems. For relatively simple problems, you may even be able to fix your car yourself. Before you pick up your phone to call the dealer or auto repair garage, check out what other owners and auto specialists are saying. Whether you're planning to do the repair yourself, you've just received an unusual error code from your engine, or you simply want to know why your car is acting up, these resources can help. You'll find answers to common questions in the owner's manual that came with your vehicle. If you're wondering what a dashboard light means or if you need a few simple reasons why your car won't start, the owner's manual should be your first stop. For a basic version of the owner's manual, check out Toyota's iGuide. This stripped-down variation is nice, because you won't have to wade through tons of extraneous information to find what you need. However, it also lacks detailed information. Online car forums are an excellent resource for troubleshooting. If you're having a problem with your Camry, chances are good other owners have run into similar issues. You can discuss problems and search past responses online using owner forums. 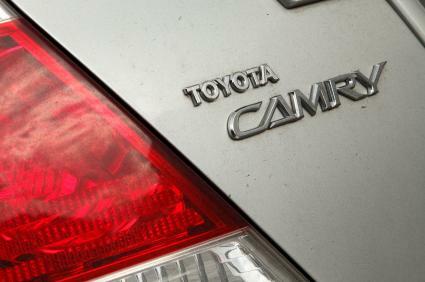 Camry Forums is a great place to look for discussions about potential issues that other Camry owners have encountered. You'll find information on everything from car starting problems to help with the keyless entry. You can find another great owner forum at ToyotaNation. Here, Camry discussion is separated into generations of this popular vehicle, which has been produced since 1982. Edmunds has a car forum dedicated to Toyota Camry problems and the solutions that can help. With more than 5,000 messages on this board, you're sure to find something that describes the issue you're having with your Camry. If you know what is wrong with your Camry, YouTube is a great resource for finding instructional videos to help you troubleshoot the problem at home. You'll need to know the model year of your car and have a general sense of what is causing the problem. Toyota maintains an owner's site, called My Toyota, which is dedicated to all aspects of ownership. There are owner forums for discussing common problems, resources for fixing those problems, and even a do-it-yourself guide for simple repairs. While some information is accessible to all users, you must register with Toyota to access all of the resources on this site. Once you know what's going on with your Camry, you'll be one step closer to finding a solution. Often, common problems have simple solutions, and you may be able to repair the vehicle yourself. If your car is still under warranty, you can simply take it to the dealer for a free repair. If the problem arises later in the vehicle's life, you may be able to shop around for a reasonable price. Regardless of how serious the problem is, you'll be one step closer to driving again if you figure out what is wrong. No matter which Toyota Camry troubleshooting resource you choose to use, you'll find helpful information to diagnose your car problem. A little research can have you back on the road in no time!